If you’re thinking about buying a Rolex watch for investment there are a few things you need to know. Since the 1950s, the average price of a new Rolex watch has been steadily increasing. As a brand that enjoys ubiquitous recognition around the world, there is no sign of this changing. It appears that people are willing to pay more and more in real terms for a Rolex watch every year. But this doesn’t mean that any Rolex you buy will necessarily appreciate in value. Whilst it is true that Rolex watches do hold their value well – provided that you protect them from unnecessary wear and tear – some watches stand a greater chance of increasing in value than others. Like any investment, buying a Rolex is not something you should go into blindly, and you should make sure to thoroughly research the piece you are looking to buy. That said, there are some general trends that tend to hold true. The following pointers should get you headed in the right direction with your decision on which watch to invest in. One of the strongest indicators of the potential of a Rolex watch to increase in value, and therefore to make it a suitable investment asset, is how rare it is. In the study of economics, scarcity is closely linked with value, and this is evidenced again and again at major watch auctions. When a product is in short supply, buyers are willing to pay more. Rare and hard-to-find watches always attract the highest bids at auction, regarded as the most desirable pieces by collectors. This point is illustrated by a brief look at the top three most expensive Rolex watches ever sold. In 2017, Paul Newman’s personal Rolex Cosmograph Daytona sold for an incredible $17.8m at Phillips in New York, making it the most expensive watch ever sold. The vast sum that Paul Newman’s watch collected makes it the most expensive Rolex by a long way. Naturally, Newman’s iconic status and historic connection with the brand contributed heavily to its desirability. But the scarcity principle also applies. There is, after all, only one watch that the legendary Paul Newman wore every day for fifteen years. The second most expensive Rolex watch ever sold for a relatively modest $5.9m – a Daytona Reference 6265 ‘Unicorn’ in white gold. Again, the scarcity principle applies. Vintage Daytona watches were made in either steel or 18 ct yellow gold. The white gold reference 6265 is the only known example of its kind in the world. The third most expensive Rolex watch is another one-of-a-kind. The 1954 Bao Dai reference 6062 was specifically commissioned by Bao Dai, the last Emperor of Vietnam. The Emporer requested the rarest and most precious ever made, and what he got was a Rolex reference 6062 in yellow gold, with a black dial and diamond indexes. It was auctioned in 2017 for over $5m. While there are extremely few one-of-a-kind Rolex watches out there, there are still a number of models that are very much in short supply. Here are some of the most coveted models at present. The rarest Rolex Daytonas are distinguished by what is referred to as an ‘exotic’ or ‘Paul Newman’ dial. These dials have a number of subtle features which mark them out, and which are easily missed by less-discerning buyers. With only around two or three thousand ever produced, these models from the 1960s and 1970s are known to attract significant interest from collectors, picking up as much as six figures at auctions. Another avenue for would-be investors to explore is the diverse category of Vintage Rolex watches. In the last decade especially, there has been a noticeable increase in demand for vintage models as collectors seek to own a piece of Rolex history. The scarcity of genuine vintage Rolex models suggests that demand will continue to grow. The Rolex Milgauss, the ‘scientist watch’, is a watch with an interesting story. Besides its subtly distinctive aesthetics – including an orange electricity bolt second hand and green sapphire crystal – the Milgauss’ key feature is its resistance to magnetic fields. Discontinued in 1988 for nearly two decades, there is a relative shortage of Milgauss watches in circulation today. Although production picked up again in 2007, the fact that very few Milgauss watches were produced during this period means that certain models of the Milgauss remain in demand. 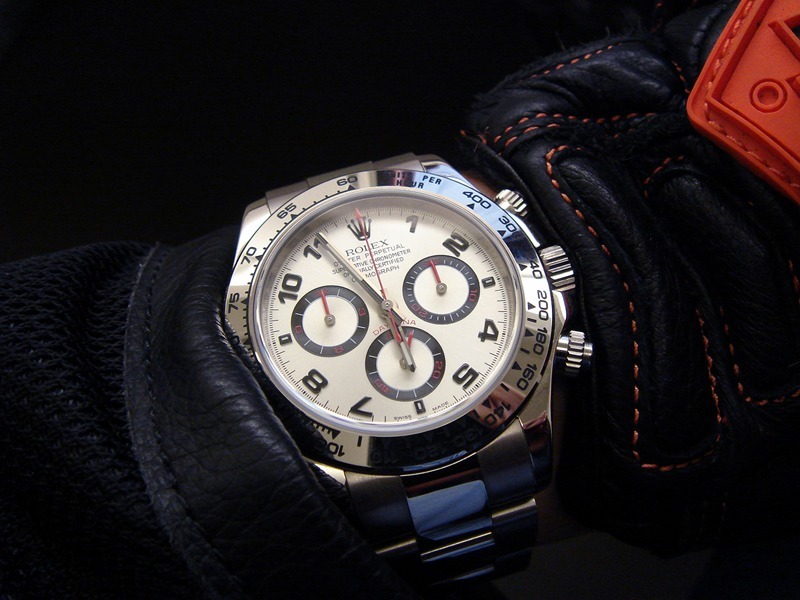 As a general rule, steel Rolex sports watches reliably hold or appreciate in value. This includes, in particular, the GMT-Master II with its famous two-coloured bezel, the Cosmograph Daytona, and the ever-popular Submariner 16610. The “Hulk” Submariner with its green bezel has proven particularly desirable of late, along with the GMT-Master II “Batman” with its black and blue bezel. Naturally, rare and discontinued examples of Rolex’s sports watches consistently attract the most attention. Why does the value of a Rolex watch increase over time? The Rolex brand enjoys ubiquitous recognition. It is, quite simply, the most recognised name in watchmaking. In theory, this should be a problem for a luxury brand like Rolex. The paradox of a growing luxury brand like Rolex is that much of its appeal lies in its exclusivity. People enjoy luxury brands because of their elevated status. The fact that Rolex watches are prohibitively expensive adds to their desirability. So when a brand like Rolex becomes wildly popular, in theory at least, the brand should become devalued. The reality is quite different. Despite the fact that more people than ever own a Rolex, the brand continues to grow, and the value of Rolex watches in real terms continues to rise, as one excellent research article from ablogtowatch demonstrates. Let’s look at the Rolex Submariner. At the time of its release in 1957, when the Submariner retailed for $150, the average American salary could buy you eleven Submariners per year. Even if we take inflation into account, in 2014, the average American salary wouldn’t buy you more than six Submariners. Put another way, if we take the original $150 price of a Submariner in 1957 and adjust it in line with inflation, today it should cost $1,265. But in reality, in 2014 Submariners sold for $7,500. The average value of a Submariner has therefore increased drastically above the rate of inflation. Does a gold Rolex watch make a good investment? Although the price of gold can be volatile, some people believe that because it maintains its value over the long-term, it’s a good option for a Rolex investment watch. While gold Rolex watches are often more expensive to begin with, it does not seem to be the most important factor in determining the likelihood that a watch will appreciate in value. If you are buying a Rolex for investment, it’s important that you keep it in excellent condition. Yes, Rolex watches are made of hardwearing materials. The materials that make a Rolex, like Oystersteel and crystal, are designed to last, but a pre-owned watch’s condition is a key factor in its value. An unused watch will generally sell for more than a used watch, and visible wear and tear will certainly take some value off your watch. But don’t forget, while it’s important to look after your Rolex, these watches are designed to be worn. The number of people who buy a Rolex with no intention of ever wearing it is relatively few. The simple fact is that most people who buy a Rolex for investment can’t resist wearing them. And why should you? It’s important to know what you’re doing before you invest in a Rolex. Like any investment, it’s a risk. Nobody truly knows which way the market will move. But if you do your research then you’re putting yourself in a strong position to make an informed decision. 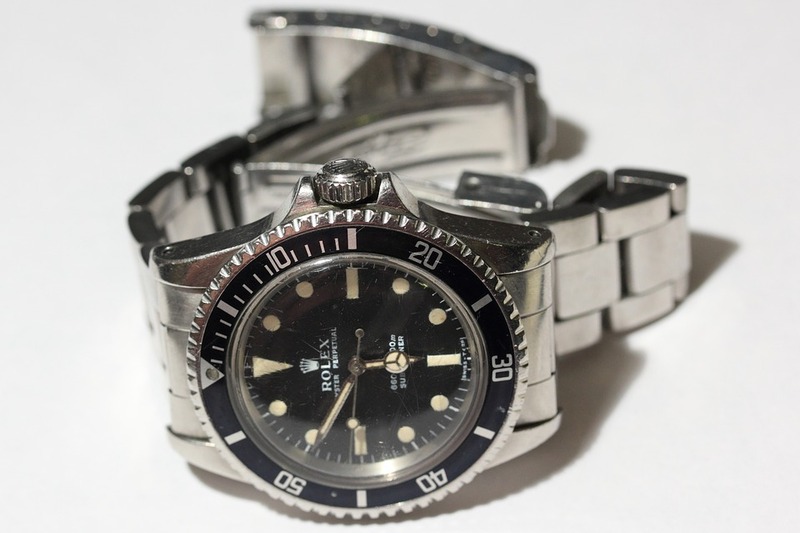 Buy pre-owned Rolex watches from Blowers. Looking to cash in on your investment? Sell your watch to Blowers.